Hassan Whiteside is an American professional basketball player who plays in the National Basketball Association (NBA). As of 2018, Hassan Whiteside currently plays for the Miami Heat as their Center. Hassan Whiteside has also played for other teams in past. As a Center, Hassan Whiteside reportedly earns around $25,434,263 as his yearly salary from Miami Heat. Further, The NBA star has an estimated net worth of over $50 million. Hassan Niam Whiteside was born on June 13, 1989, in Gastonia, North Carolina, United States to father Hasson Arbubakrr and Debbie Whiteside. As per his nationality, he is American and belongs to African-American ethnic group. Further, his star sign is Gemini. He grew up along with his 5 brothers, Anthony Whiteside, Nassan Whiteside, Darius Whiteside, Omaris Whiteside, Danny Whiteside, and 1 sister, Jovanna Whiteside. Whiteside attended three schools, Hunter Huss High School, East Side High School, and The Patterson School where he played for his high school basketball team. After high school graduation, Hassan Whiteside enrolled Marshall University and joined the Marshall Thundering Herd men's basketball team. Hassan Whiteside signed a four-year contract worth $3.8 million on July 19, after getting selected by the Sacramento Kings with the 33rd overall pick in the 2010 NBA draft on June 24, 2010. During the 2010-2012 season, he was multiple times assigned by D-League affiliate, the Reno Bighorns. On February 4, 2012, he was recalled by the kings but later on July 16 he was waived y the kings. 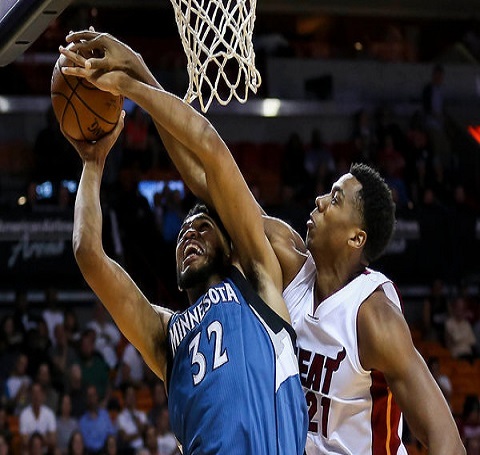 On December 14, 2012, Whiteside was acquired by the Sioux Falls Skyforce. He has also played for the different clubs overseas like Amchit Club in Lebanon, Sichuan Blue Whales in China, Al Mouttahed Tripoli as well as Jiangsu Tongxi. James Whiteside was also a part of Memphis Grizzlies before he officially joined the Lowa Energy on November 14, 2014. He was many times acquired and waived by the clubs. On November 22, he re-joined Lowa. In the year 2014, Hassan Whiteside signed a contract with Miami Heat. he was assigned to Sioux Falls Skyforce on December 13 but right after two days was recalled by Heats. Hassan Whiteside signed extension four-year contract worth $98 million with the Heats on July 7, 2016. During the 2018-2019 season game against San Antonio Spurs, while the players like DeMar DeRozan, Dante Cunningham, LaMarcus Aldridge, and many others were in the opposition somehow he manages to score 29 points with 20 rebounds and an NBA season-high nine blocked shot in a win of 95-88. As of 2018, Hassan Whiteside has an estimated net worth of over $50 million. He reportedly signed a contract with Miami heats. Further, the NBA player has an average salary of $25,434,263 annually which is more than players like James Johnson, Tyler Johnson are other. Whiteside so far has made earnings of $74,591,915 from his entire NBA career. Kept aside his financial earnings, his personal assets includes a Home in Miami beach, worth $7.3 million and several costly cars. The father of Hassan Whiteside, Hasson Arbubakrr was the professional American Footballer who played for the Minnesota Vikings and Bay Buccaneers in the NFL. 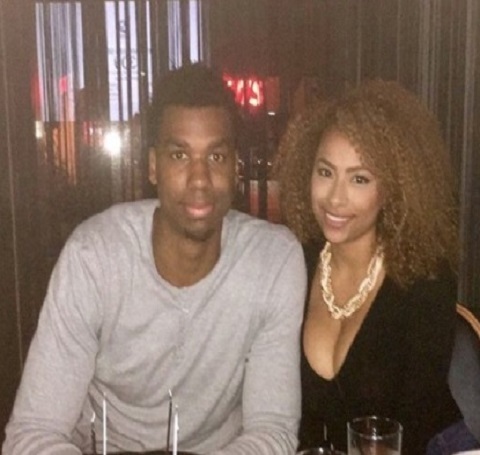 Whiteside is unmarried but is in a relationship with girlfriend, Ashly Ariza since mid-2016. She is a very talented singer. She quite posts her and Hasaan activities on the social media. Other than being a famous NBA basketball player, Whiteside is pretty famous in social media. He has plenty follower of 734K on his Instagram and 193K on his official Twitter account. Hassan Whiteside is not only a world-class athlete but also has a very attractive individual. The Famous NBA star measures 7 ft 0 in / 2.13 m in height and weighs around 265 lbs / 120 kg.